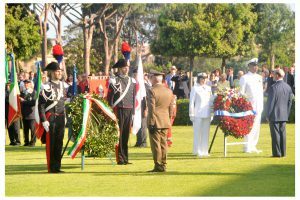 Today, January 22, 2019, Sicily-Rome American Cemetery in Nettuno, Italy, will host a series of commemorative events beginning with a ceremony at 10:30 a.m. to mark the 75th anniversary of the Allied landings at Anzio and Nettuno. Among those interred at this cemetery is Private Raymond L. Cooper, a graduate of Lovettsville High School, who was mortally wounded in the Anzio campaign. 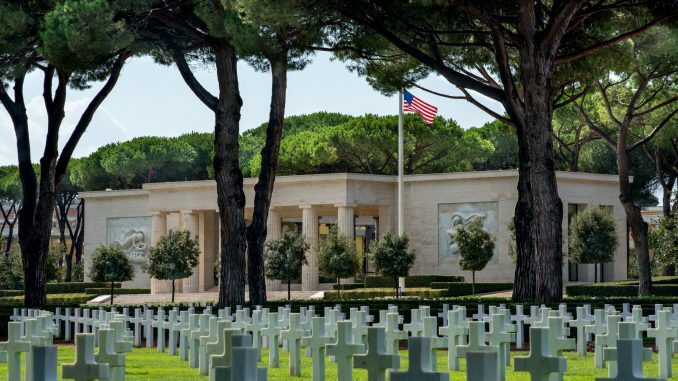 Photo courtesy of Veronica Stasio, Sicily-Rome American Cemetery. Today’s events pay tribute to the almost 11,000 Americans honored at Sicily-Rome American Cemetery, who died fighting to liberate Italy. Stalemated at the formidable Gustav Line north of Naples in late 1943, the Allies outflanked the line with surprise, amphibious landings at Anzio and Nettuno on January 22, 1944 – called “Operation Shingle.” The Germans hurled three major counterattacks against the beachhead. Severe combat continued along the Gustav Line against well-entrenched German forces. On May 11, Allied forces broke through the defensive lines with a massive offensive. By early June of 1944, Rome was liberated. Raymond Luther Cooper was born on January 4, 1917, the son of Harry J. Cooper and Viola Compher Cooper, and was baptized at New Jerusalem Lutheran Church in Lovettsville on December 3, 1920. Raymond attended Lovettsville High School, and then worked as a brick and stone mason and a tile setter. He was married to Marian Deavers of Berryville. Raymond Cooper enlisted in the U.S. Army on May 7, 1941, and served with the 82nd Airborne Division, in the 307th Airborne Engineer Battalion, Company C. His battalion was part of the invasion at Anzio, which is likely where he was wounded. Before that, the 82nd Airborne had taken part in the landings in Sicily and Salerno in 1943. According to a letter sent to his parents by a military chaplain, Raymond was wounded on April 12, 1944, and succumbed to his injuries on April 23. However, some local newspaper accounts say he had been in the hospital for a couple of months. This author, and the late Jim Schatz (an 82nd Airborne veteran), in seeking information about PVT Cooper, were advised by the Airborne and Special Operations Museum that there is debate about how long PVT Cooper was hospitalized prior to his death. 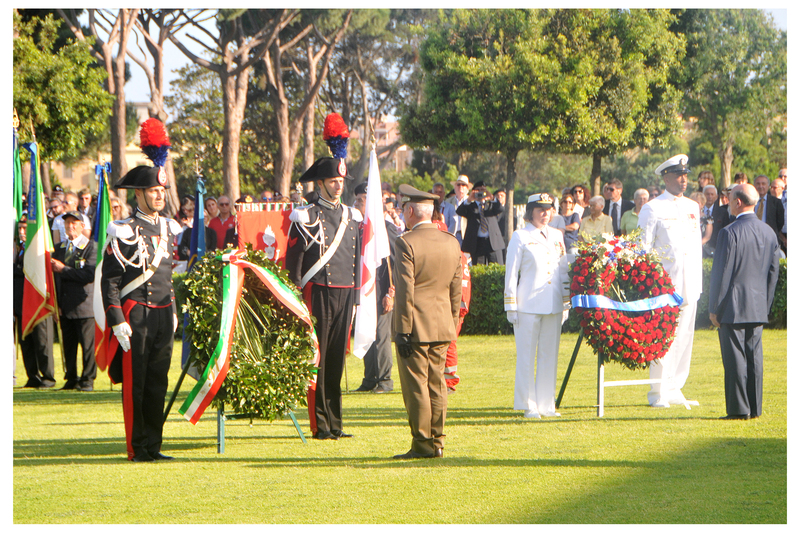 2018 Memorial Day wreath-laying ceremony at Rome-Sicily American Cemetery. 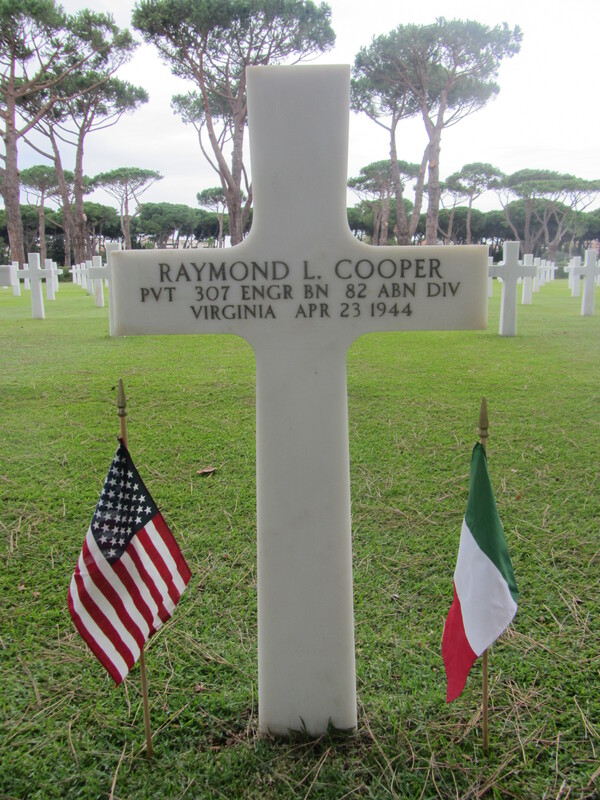 The cemetery is three miles from Anzio, and 38 miles from Rome. Photos courtesy American Battle Monuments Commission. That flag, with 30 blue stars and the one gold star, is still in the possession of New Jerusalem Lutheran Church.